Iodine for thyroid – how much do you actually need to take? First, why should you even think about iodine for your thyroid? Your thyroid gland is a hormone producing gland (known as an endocrine gland) that’s located in the front of your neck. 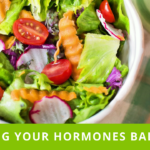 Its role in your health is a vital one as it produces the hormones called thyroxine (T4) and triiodothyronine (T3). 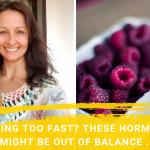 These two hormones are necessary for all the cells in your body to work normally. 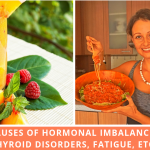 If, for some reason, your thyroid gland produces too little or too much of either of these hormones, then you can experience health problems. Hypothyrodism, hyperthyrodism and other thyroid related issues is a big problem in today’s world. So as you can see thyroid health is a big issue not just in the United States but all over the world. So, if you have thyroid problems, or want to prevent them, should you take iodine? Iodine for thyroid: how much to take? Iodine is a natural element that occurs in the environment and which we can get from the foods that we eat and also drinking water. Iodine is very important for the health of your thyroid as it helps it produce the hormones that your body needs. 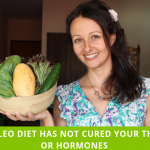 Now because of the large number of people who suffer with thyroid issues, there has been a lot of investigation into what causes thyroid issues and how they can be prevented or reversed. One of the recommendations is to take extremely high doses of iodine, as, apparently, our soil is iodine deficient. 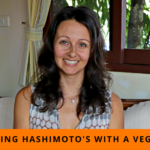 This method of treating the thyroid is actually based on floored research where it was believed that Japanese people had an extremely high intake of iodine from their diet. Subsequent studies have found this not to be accurate. In fact, a recent study found that in Japan their intake of iodine is from 1 to 3 mg per day. These levels are much lower than the extremely high doses of 12 mg and upwards that are recommended by some health promoters who base their recommendations for extremely high iodine intake on floored research. In fact, the actual RDA in the US for iodine intake is 150 mcg for non-pregnant adults. That’s at least 80 times less than the extremely high dose of iodine that some people recommend. A study from China also looked at iodine intake and noted that: “More than adequate or excessive iodine intake may lead to hypothyroidism and autoimmune thyroiditis”. The Chinese government at one stage was following a policy of iodising its salt in an effort to make sure its population got enough iodine. The problem with taking too much iodine can be even more problematic if someone is suffering with what is called Hashimoto’s thyroditis. 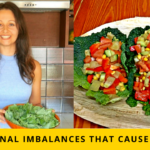 Getting too much iodine can cause the thyroid to go out of balance and cause the level of thyroid antibodies to increase which is all bad news for your thyroid. 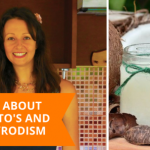 If you have Hashimoto’s disease or have been tested and have a high level of thyroid antibodies, then you need to be extra careful with taking iodine. Watch my latest video to discover more! 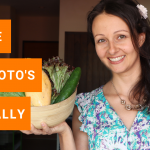 Want to balance the health of your thyroid and your hormones naturally? Reach out and schedule your free health discovery call with us.